Canine health depends on a thriving population of beneficial gut microbes. Factors such as stress, diet changes, chemical wormers, vaccinations, and antibiotics will cause a dog's gut to become an unfriendly environment and will force microbes to go dormant. Dyna Pro is designed to create the ideal conditions for good microbes to come out of dormancy, multiply, and thrive so your dog gets optimal utilization of food and supplements, resulting in a vibrant animal! 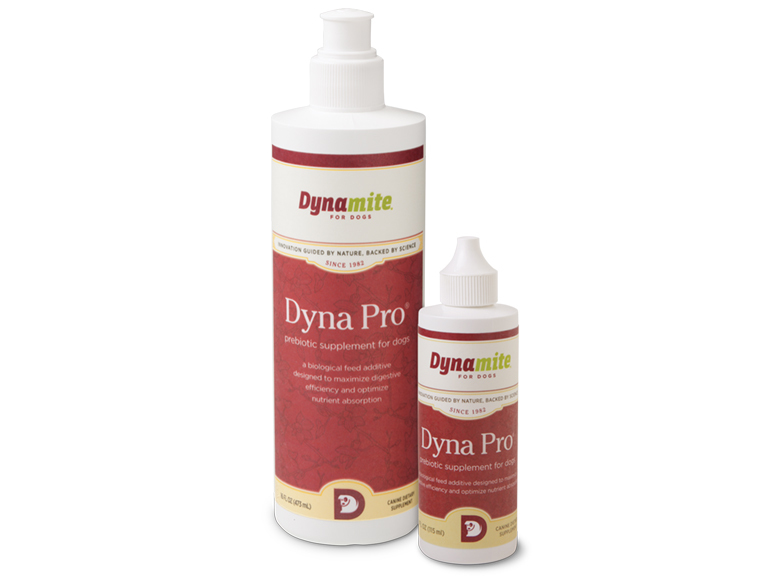 Note: Because Dyna Pro is made from naturally occurring elements, it may produce a layer of film floating at the top of the bottle that may look like stringy jelly, or may clump together like mold. This health-promoting substance is referred to as 'the mother,' and is perfectly safe for your animals. You can strain it out using a cheesecloth, or best case, leave it in and feed it to your animals. 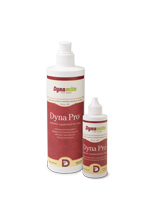 16 ounce Dyna-Pro comes with a pop-top & measuring cup. For your convenience, a pump that fits the 16 ounce bottle is available. Simply add the pump to your order at no additional charge.